People say the eyes are windows to the soul, but if you want to figure out how someone’s feeling without gazing lovingly into their eyes, there’s a different body part that gives you a quick answer – the mouth. A smile, a frown, pursed lips or an open O-shape are expressions that give away one’s emotions. Unfortunately, certain factors can affect the appearance of our mouth. Some people naturally have thin or tight lips, and ageing adds wrinkles around the mouth. The trend now is to have full luscious lips. That’s why many people opt for lip augmentation, not just to correct issues with the lips, but to enhance one’s natural appearance. A recent Science Daily release discussed the trend of lip augmentation, and offered a few tips for those interested in the procedure. Trend setters like Kylie Jenner and Angelina Jolie have full lips have influenced modern lip definition. But how much is too much? 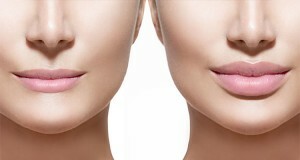 Typical signs of ageing that prompt a lip augmentation involve a drooping around the mouth, and lip lines that go beyond the red part of the lips. But younger people are seeking full and well defined lips too. Fuller lips that is. Its not just a corrective treatment for the forty something but more and more young people want to enhance their central facial feature, their lips. They want them scrumptious and luscious. Usually when doctors talk about lip augmentation, they are referring to a procedure involving the injection of hyaluronic acid to enlarge and plump the lips. These dermal fillers fill in depressed areas in the lips and may stimulate collagen production, which naturally stimulate lip colour and plump them further. Thinning of the lips is caused naturally by the ageing process, but can be accelerated by years of smoking or excessive exposure to the sun without protection. Many experienced cosmetic doctors tend to opt for smaller amount of injected dermal filler the first time around, and then add more in at a second treatment. This allows the lips to relax more and accommodate a more natural fuller lip profile. Treatments are usually a month apart. This is because too much of an injection could lead to an unnatural lumpy and disfigured look, something most cosmetic surgery patients want to avoid. Patients can speak to me at Castleknock Cosmetic Clinic Dublin for help in achieving this trendy look. At the clinic I see myself as your guide in deciding if you’re a good candidate for the multistage volume enhancing lip procedure. According to Science Daily, those who have a large space between the base of their nose and the beginning of their lips may not be the best candidates, as a procedure can create an unflattering “duck peak” look. Lip specific dermal fillers like Restylane Silk, Juvéderm Volbella and Perfectha are best used for the modern lip enhancement. There are other options for treating thin lips such as fat lipofilling injections. 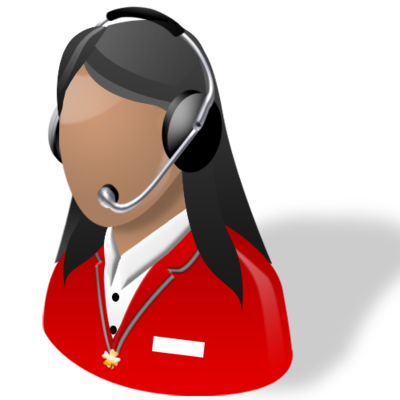 Talk to us when you book your treatment consult for pros and cons of such treatment. Patients can expect their new look to last six to eight months or longer. According to the British College of Aesthetic Medicine, lip augmentations offer minimal to no recovery time, meaning most patients can return to their normal activities immediately following the injection, or a day later if sedated. However some temporary swelling is expected and bruising is always a possibility. Patients who are curious about cosmetic lip enhancement but are afraid of permanent commitments may want to consider dermal filler lip augmentation with Restylane, Juvederm or Perfectha, since these products are temporary. Some people are born with naturally full lips. However, even full lips will grow thinner and longer over time due to the effects of sun damage, gravity and aging, and wrinkles will eventually develop around the mouth. For those who wish to regain their lips’ natural volume and shape, or for those who were born with naturally thin lips, lip augmentation or enhancement procedures offer a successful solution. The most common procedure for lip augmentation involve the use of injection with dermal fillers. 1- Lips are not uniform; and too avoid ending up with an unnatural look, the upper lip is not straight, but has the overall shape of a soft letter “M”. At Castleknock Cosmetic Clinic Dublin’ I see some people who come to me for lip augmentation correction after having their lips injected in an unskilled fashion; simply volumising the lips and ending up with the so-called “hot dog” lips; that is, lips which are bigger but ultimately shapeless because all of the landmarks mentioned above have been erased. I, on the other hand, carefully re-sculpt these lip landmarks to ensure the most natural result. The procedure is performed after careful inspection of the lip characteristics and after nerve block numbing. Minimally invasive and cost effective treatments such as dermal fillers are fast replacing plastic surgery for many patients seeking to slow the effects of aging. As the face ages, it slowly loses volume and unsightly wrinkles and lines begin to form. We use injectable fillers to gently give volume to these depressions leaving an extremely natural result. The temporary, short-acting fillers are made of natural products such as hyaluronic acid that is quickly absorbed by the body. The new long-acting, semi-permanent fillers mostly rely on synthetic materials for that extra durability. Each product has a different “location” preference and duration. Some are best used in deep wrinkles, some in shallow lines, and some for plumping or restoring volume. 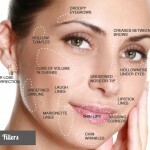 There are numerous dermal fillers and varying misconceptions as to their use. At Castleknock Cosmetic Clinic Dublin we use only FDA approved top of the range dermal fillers from reputable manufacturers. 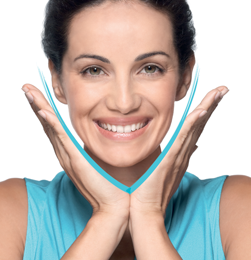 We will help you choose the FDA approved wrinkle filler that will work best for your needs. Dermal fillers can be used to re-volumize areas of the face that have lost volume or to non-surgically change the shape of the face. Common areas for treatment with dermal fillers include lips, cheek, tear troughs, chin, nose, brows, nasolabial folds, mouth corners, and wrinkles (visible static wrinkles). Dermal fillers are a safe and effective method to non-surgically shape, volumize, lift and rejuvenate the face. Goldie Hawn in The First Wives Club and THOSE LIPS… In the movie, the doctor said to her: “Elise, if I give you any more collagen you’re lips are going to look like they got stuck in a pool drain”. Possibly one of the greatest send-ups of Hollywood and it’s legion of nipped and tucked actresses, EVER. Hard to believe that movie came out in 1996! 18 years later and we are still seeing pumped-up, distorted lips as the result of cosmetic lip enhancement gone wrong. Patients me, “Those actresses with huge lips? I’m so scared I’ll turn out like that.” The fear of looking “done” or ending up with “duck lips” is very common, and I spend a lot of time with patients trying to explain WHY “trout pout” happens, and why it WON’T happen in the hands of a skilled cosmetic doctor…. It’s time for me to blog a post on the subject! As we age, we lose volume in the lips and around the mouth. Unfortunate deflation occur. The mouth thins out and lip lines (aka “smoker’s lines” or “barcode wrinkles”) begin to develop and deepen. Previously plump and juicy lips appear to dry out like a prune. Once you’ve exhausted the plumping lip-glosses and the meticulously applied lip-liner is no longer cutting it, there are procedures that can help to restore a more full and youthful smackers. Did you know that doctors were experimenting with lip enhancement techniques in the early 1900’s? Starting in the 1980’s, bovine collagen injections became the standard for lip augmentation, but again, times have changed and so have the products. Afterall, who wants cow collagen in their lips. Nowadays, patients have the option of choosing either a a number of excellent dermal fillers specifically synthesized for lip augmentation. Non surgical lip injections using hyuralonic acid products such as Juvéderm Smile, Teosyal Kiss or Restylane Lipp have proven to yield excellent results. The injections can be performed in the office with minimal downtime. Because hyuralonic acid is a compound naturally found in human tissue, these products are metabolized by the body over time and provide a temporary result that usually lasts 6 to 12 months. Lips can also be plumped using fat grafting– a surgical procedure that involves harvesting the patient’s own fat and then using it to shape around the frame of the mouth and add fullness. The very long lasting result is a softer, more youthful lip contour. Another treatment I like using for fine lines that form around the mouth as we age is PRP. “Smoker’s lines” can be very difficult to treat, mainly because the skin is so thin and this area. Platelet rich plasma (PRP) injections use your own blood to naturally stimulate the production of new collagen in the skin. Increased collagen improves skin quality overall, which in turn helps to soften lines around the mouth. There are a couple of reasons “trout pout” happens. It comes down to the product being used, and the skill of the injector. In the case of modern day trout pout? Lack of foresight about product behaviour once inside the lips is frankly no longer a viable excuse. Over filled lips can be blamed on improper injection technique and too much in the wrong level. There are many of us who wish we had Angelina Jolie’s beautiful, luscious lips – but the hard truth is that you can’t put another person’s lips on your face and expect to look good! A good cosmetic doctor will help you to see that lip rejuvenation is about restoring lost volume and careful accentuation of your natural lip contour. It’s about subtlety and aesthetic balance, and YES! Less is definitely more. Ultimately, you have to know and trust your cosmetic doctor enough to go ahead with any procedure. If you are interested in lip augmentation, bring it up at your next appointment with me. Till then,keep smiling!